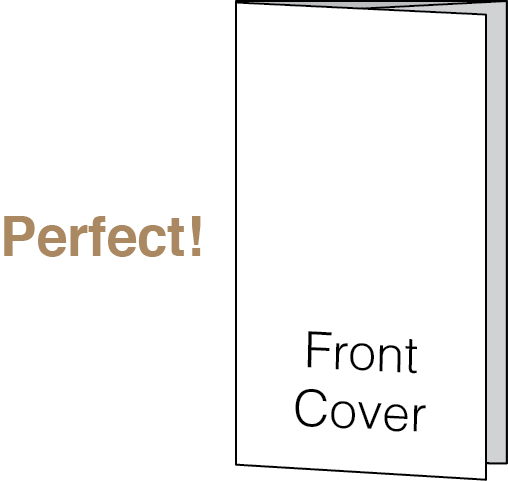 Designing a folded pamphlet (leaflet / brochure) sounds more tasking than it really is. 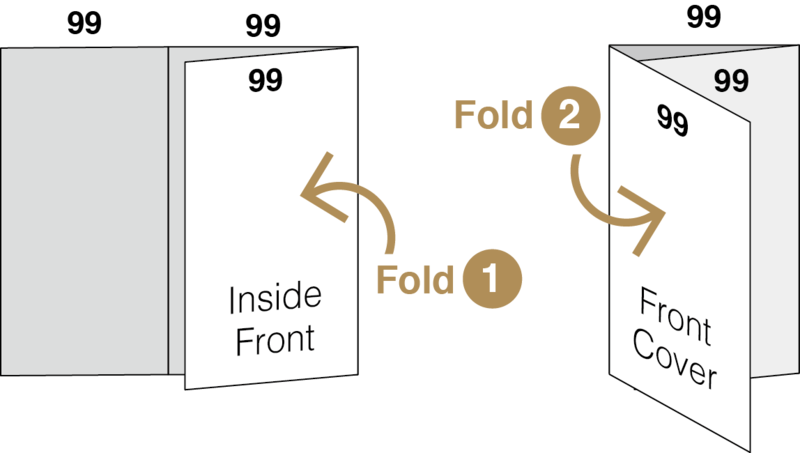 All you need is a little planning, deciding which type of fold you want, and the rest is quite fun! Let's say you want to design a trifold pamphlet. 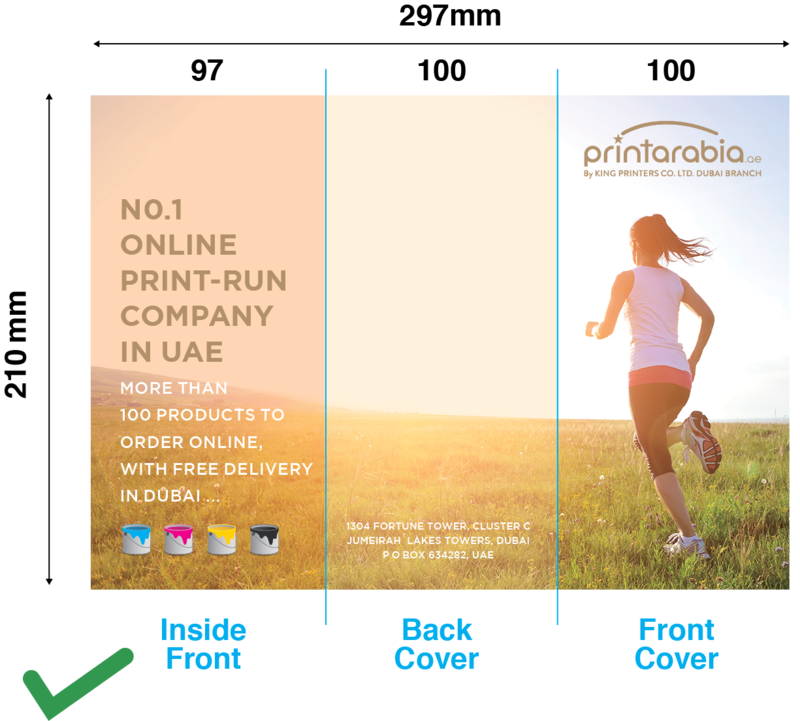 A tri-fold is when the panels are 'roll' folded so that you end up with a panel folding inside the other two panels. The final product is 1/3 the size of the original. 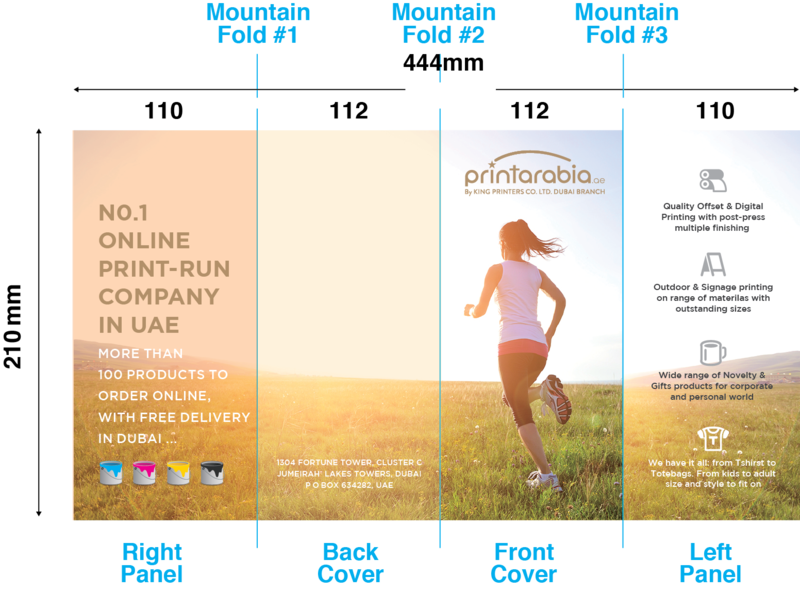 If we start with an A4 size sheet: 297 × 210mm (W × H),then all we need to do is fold it into three, right? 297mm ÷ 3 panels = 99mm for each panel width..? Not quite! The paper buckles because all the panels are the same width. 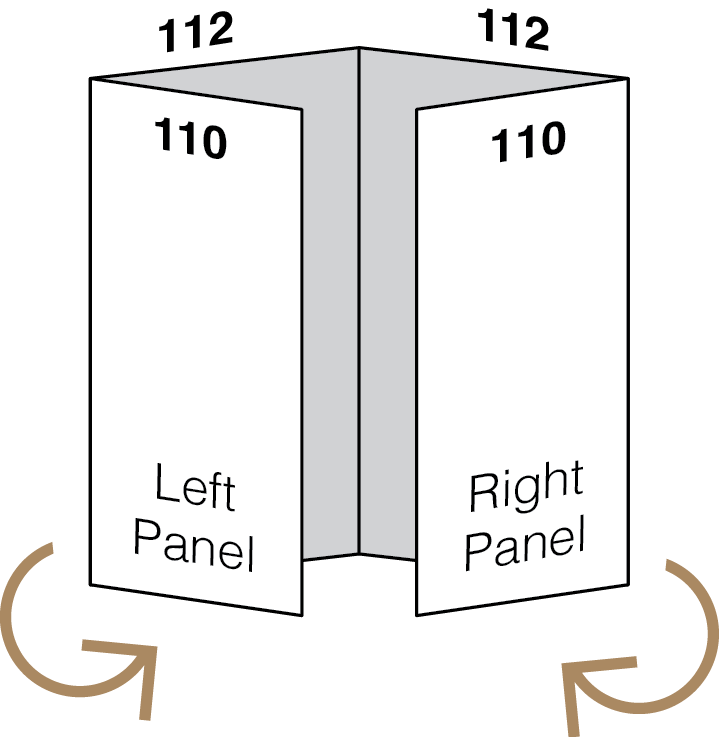 The inner folding panel and cover panel cannot close properly. 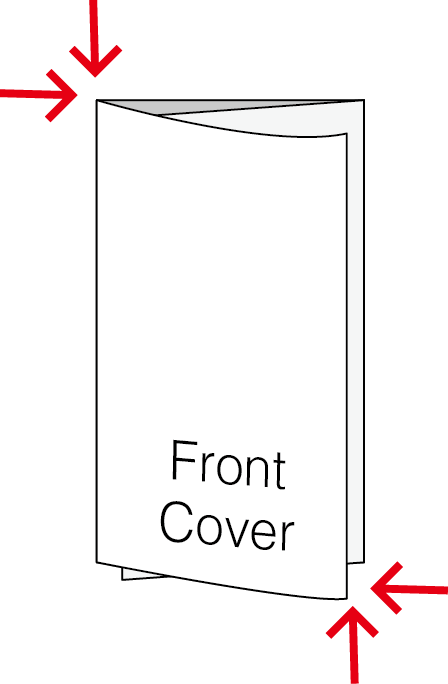 Here's why: The panel that folds on the inside needs to be slightly less wide than the outer two panels, in order to fit comfortably after it has been folded. 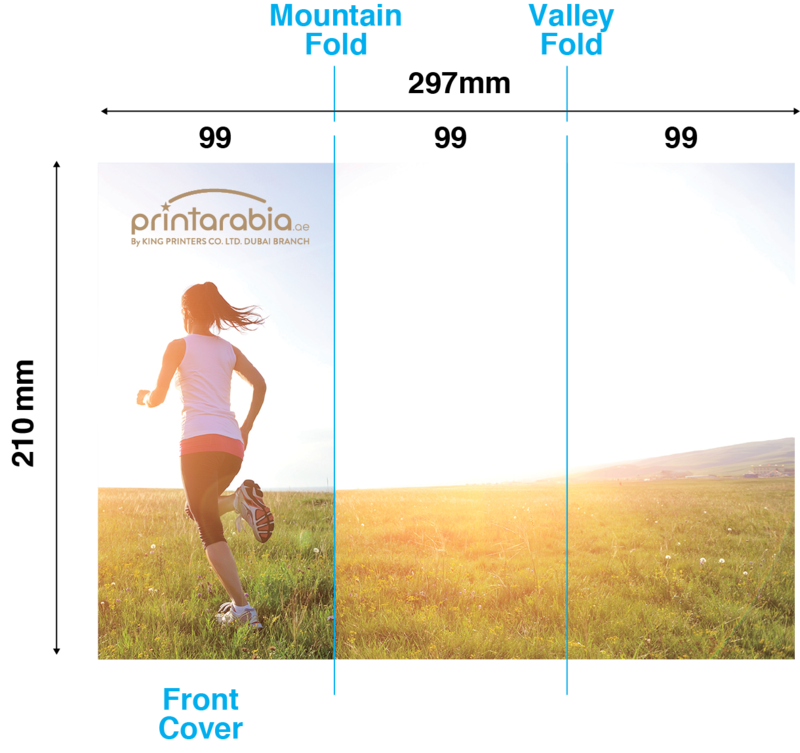 If all 3 panels are the same width, the paper will buckle and won’t sit flat. This is why we need the inner folding panel to be 3mm less wide than the other panels to avoid bulking out. 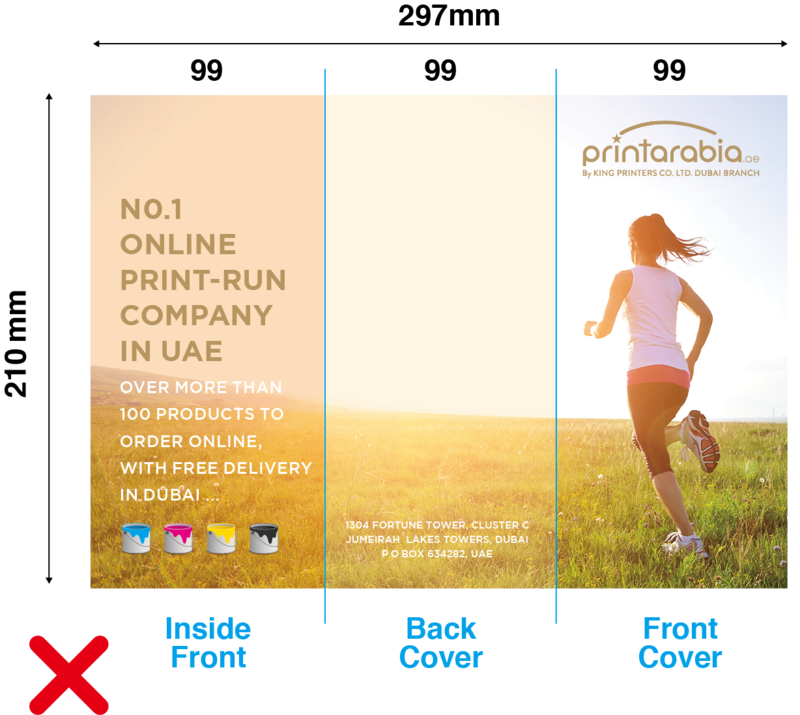 So, the widths for an A4 trifold pamphlet would be to make the 2 outer panels 100mm wide and the innermost 97mm wide. 100mm + 100mm + 97mm = 297mm. For those that can’t be bothered with maths to find the panel widths, we have the thing for you. Use our blank layout templates. They have all the necessary labels, guides and folding marks. You can thank us later. With a Z-fold pamphlet, also known as a concertina fold, because the panels fold in opposite directions there is no need to make one less wide than the other two panels. So, if we were to start with an A4 (297 × 210mm) ÷d; 3 panels = 99mm width for each. Don’t forget to label your folds with ‘Mountain Fold’ or ‘Valley Fold’ to indicate the direction of the zig zag fold. The outer two panels need to be 2mm less wide than the other two, so that the folding works properly.